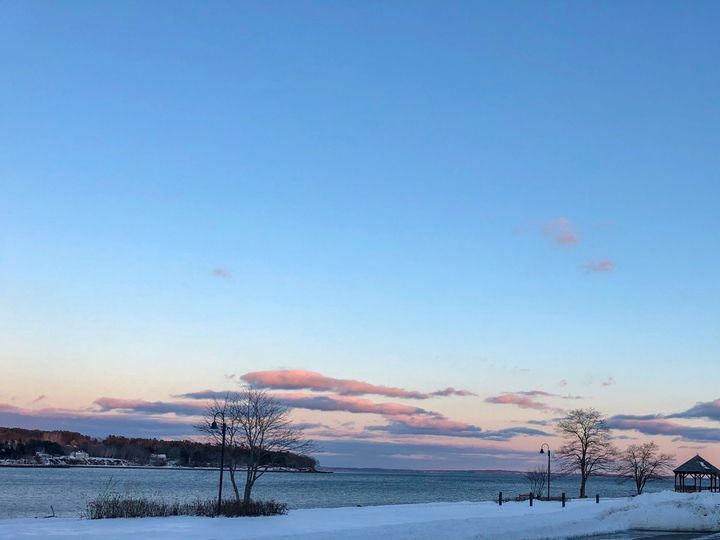 Located in Belfast, Maine, Bayview Point Event Center is a banquet hall wedding venue for engaged couples to host their receptions. 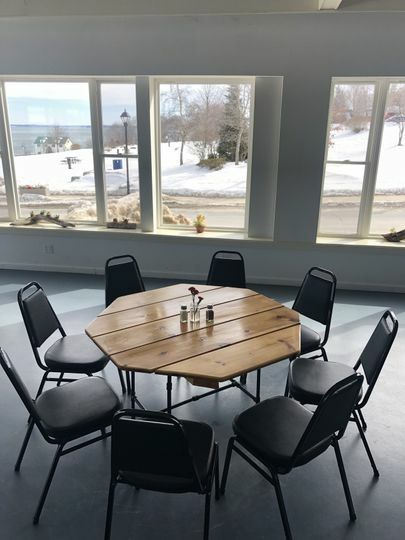 This scenic and versatile venue offers multiple spaces for couples to choose from for their event, whether it is a ceremony, reception, rehearsal dinner, elopement, or engagement party. The hosts at the property are dedicated to assisting couples in arranging their wedding day. 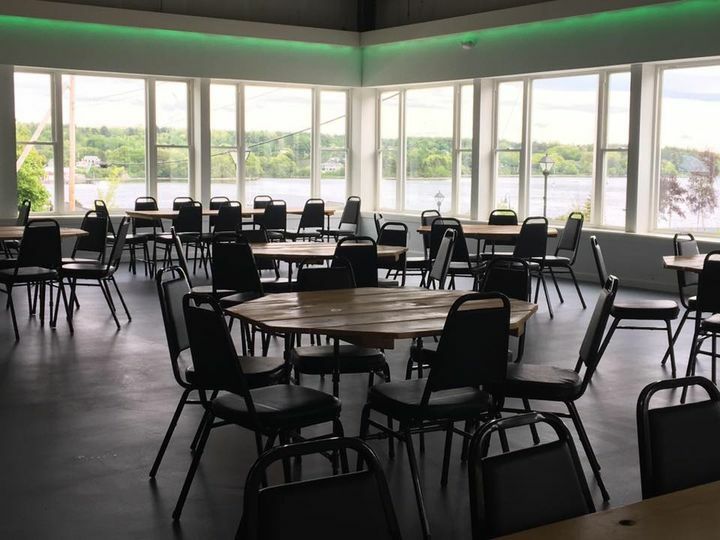 This venue offers couples three event spaces to choose from, as well as a stage suited to place your live band or disc jockey. 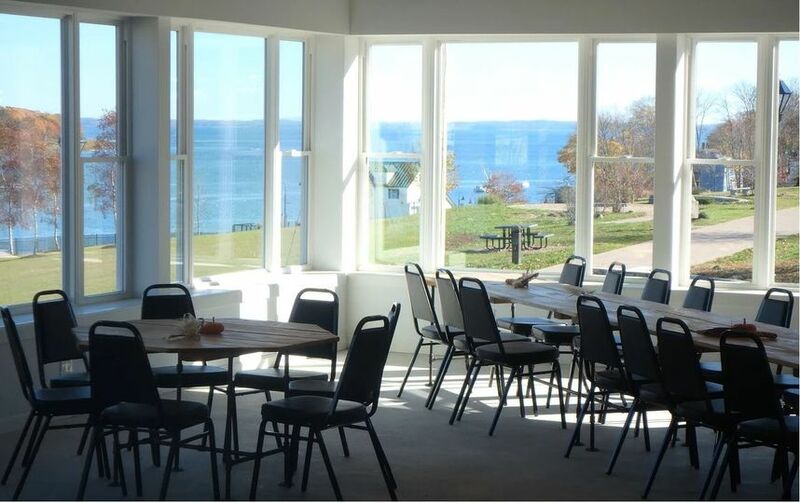 The Bayview room boasts a 3,000 square foot scenic space with windows that overlook Belfast Bay and Belfast Commons. This room offers couples a waterfront view with the shelter of being indoors. The Showroom also features a 3,000 square foot space for couples to utilize. The third space that this venue offers is their 9,000 square foot Conference Hall. 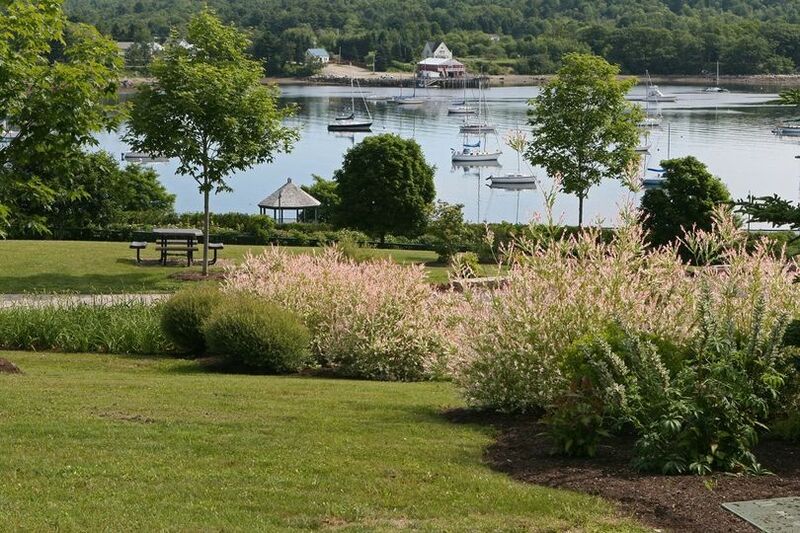 The venue also offers a waterfront tent location for couples who wish to have an outdoor ceremony or reception. The venue offers consultations to couples in order to discuss their needs and wants for their wedding space. 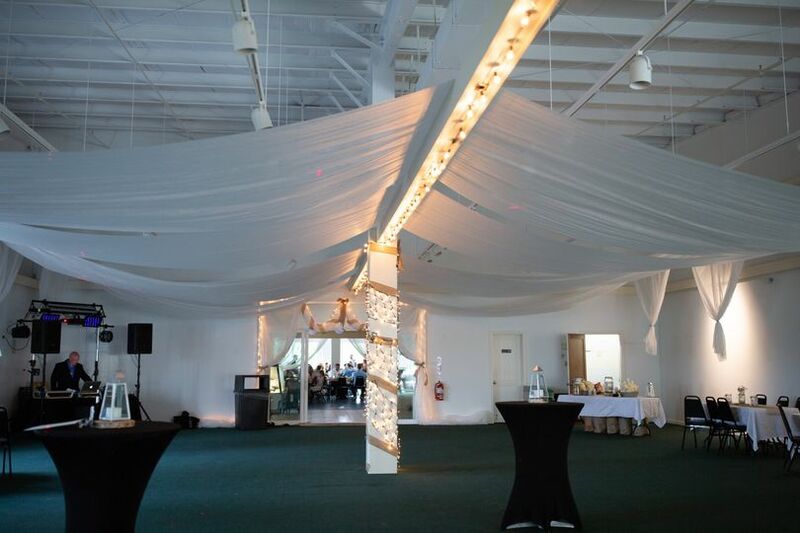 Bayview Point Event Center will take some hassle out of your day by providing all tables and chairs for your wedding. The venue also features a full bar service complete with the license to serve and sell alcohol. The venue encourages couples to bring in their own food service, and will provide a list of qualified caterers to assist couples in planning for their big day. The venue also provides a cleanup crew to assure couples can focus on enjoying their wedding day. 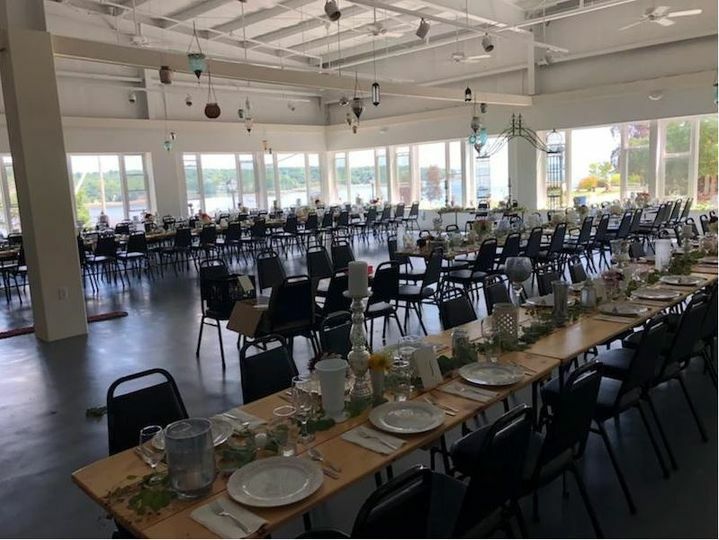 Bayview Point Event Center is nestled inside the United Farmers Market of Maine building. This building serves as Maine's only indoor farmers market, which is open year round. Everyone at Bayview Point Event Center was amazing. They were incredibly flexible in meeting our needs, and were open to any and all ideas we had. They also went above and beyond to make those ideas happen. The site itself is beautiful. I would definitely recommend contacting the City of Belfast and having your ceremony in the neighboring park overlooking the ocean. We did that, combined with a reception at Bayview, and it could not have been more perfect. Make sure you check out the incredible farmers market in the same building on Saturday mornings! I know our guests found that to be a pleasant surprise before they joined us for the big day. Thanks Aaron, for your kind words! 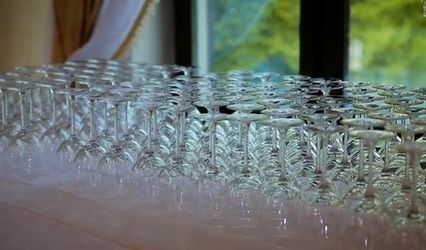 We had a fabulous time with your and your guests, on your wedding day! We hope to see you in the Market again soon. Book your 2019 wedding with us and bar set up fee will be waived. Value up to $250 for bar set up. Includes the bartender, license and insurance. Does not include glass bar ware.